After receiving the brand new HD580 headphone, I began to compare it with the HD600 that I had on loan. The HD600 had a well-worn pads, and the drivers probably had more than several hundred hours on it. The HD580 was brand new out of the box with zero hour on its driver. Out of the box, the sound of the HD580 was a quite dark, even for HD580/HD600 standards. And while the bass was not boomy, it lacked the clarity that the HD600 bass has. The midrange and the treble, though had very similar tone with the HD600’s, had noticeably less presence. It didn’t take long, probably 30-40 minutes, before the HD580’s bass started to open up and show more texture like the HD600’s. I was quite surprised that the drivers changed that fast. Neverthless, the midrange and treble still didn’t have a presence like the one on the HD600. I began to wonder if the plastic grills that come with the HD580 was the cause of this, and so I swapped the grills on the HD580 with the metal grill on the HD600. There was barely any change in the sound. Then I began to notice that the pads on the HD580 was still very stiff. The Sennheiser “death grips” was very strong with the new pads. On the HD600, this was not the case. The pads was quite well worn, and it was much softer than the brand new HD580 pads. The old pads were also much more comfortable to wear. So I tried changing the brand new pads with the old pads from the HD600. The sound is much more similar now. The treble presence and midrange has improved, almost like the HD600’s. Apparently the softer pads changes the distance between the ears and the drivers, and that changes the frequency response a little bit. There were still some small differences between the sound of the two headphones, probably due to the drivers in the HD580 only having a few hours of burn in time. During the next 2 days I proceeded to burn in the brand new HD580 pads, by putting the headphones on a dummy head (like on the picture above). After the two days, I couldn’t differentiate between the two. The sound has become identical on the two headphones. I must say that in this case, the pads make more of a difference than the driver burn in did. This remind me, could you possibly make an article about anything you can do to a cans to change it sound, for the better or worse, or in other word modding. Like, say, changing the pad, adding damping material, changing cable, making it single or dual entry, blue tak mod, and any other you know. If you can, make a picture of each mod and describe the change that happen. The headphone of choice to try this should be cheap and popular enough, maybe something like ATH M50? Yes I see what you mean. I’ve thought about that before, but haven’t really had enough information to compile into one article. Problem is, what works in one headphone, may not work in another. Also, when you mod a certain area, usually you gain some and you also lose some in other areas. Yes I realize that it'll be a very strenous and time consuming to make, and some of the mod may have different effect for different phone but I'd still be interesting to see as a reference for other seeking information of what kind of mod one can do to a cans. Explaining what has changed should be plentiful enough for people, even if the end result may be different at least we have some sort of benchmark in opposed to do it blindly. Some of the mod should have universal effect isn't it? Oh yeah forgot one more mod suggestion; stuffing pad to make it fat, though in my experience it usually ruin the sound rather than enhancing it. Yes, I know what you mean. Like when you do a damping mods, certain materials tend to bring down the treble, others bring out the treble more, and this is fairly universal among different headphone types. "How to do damping mods"– that would probably be an interesting read. Thing is, I'm not too experienced in that. I'd have to consult some friends who's done more damping mods than me. The cheap cables always run into the same problem: they are almost never flexible enough for headphone use. Hence it's hard to recommend them to people. Anyway, I've been thinking about a damping mod article for a few months now, and the M-50 is the headphone that I want to feature for the first time. Still haven't got the information together though.. Perhaps in 2011 we can publish something of that sort. I just purchased used HD580. ;) I was planning to buy either HD600 or DT880 but when I saw HD580 at £70 I decided to buy both HD580 and DT880. Sennheisers are coming within few days. I hope they will sound good. I am also very interested in the results of the HD650/K701/DT880 comparison. DT880/600 are get a LOT of hype on head-fi recently so I will definitely try them out after buying good source. I would advice to include HD600/580 in the 650/701/880 comparison as well as for many people HD600/580 are the best of the four because of great overall balanced and yet smooth sound. PROFESSOR!!! Where did you managed to find them?! Kelvin, have you called Hung's brothers in Singapore? I think they may still have some HD580's. The "useful periods of the pads" — in this case I'm actually enjoying the worn-out pads more than the brand new ones. 🙂 But good point, that's something worth looking into. Although I think Sennheiser has nailed it with the HD800's pads. The pads are quite thin, so it's less likely to affect the acoustics as the acoustic chamber is formed primarily by the frame. Pads make a big difference in sound and can really change the presentation of the sound. I experienced this when I changed my worn bowls that were at least a year old on my RS1 with some new ones and the difference was worth the $30. True.. the age of the bowl pads on the Grados makes a big difference in the sound. @Kelvin – I found a GREAT offer on head-fi for sales forum. ;) The price was so good that the seller received quite a few overseas trade requests but he wanted to sell it within the UK and so I was privileged. There are not many UK head-fiers and I dont think anyone else spotted the FS thread they would have bought it straight away otherwise. Back on topic – recently I was wondering how would HD6x0 series sound with leather pads from HE60. I heard HD6x0 pads fit on HE60 so it should work other way round too. 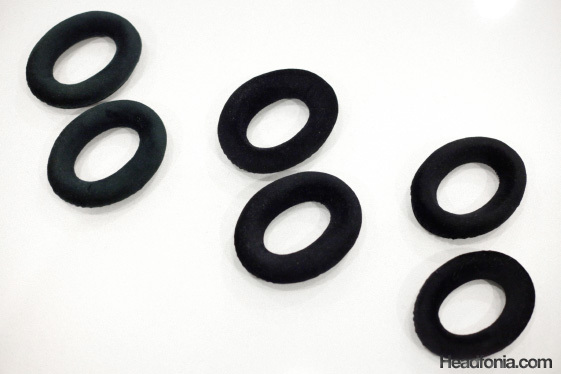 With Beyers different types ear pads make a huge difference so I would like to see how Senns responde to such a mod. The problem is that HE60 pads cost £60 pads in UK which is just a little bit lower than the price at which I bought HD580. That price keeps me wondering whether to try it out or not. I still have to buy a good DAC and want to buy some complimentary cans so such anexpensive and risky mod might be just stupid. I was supposed to get my HD580 today but post office collection point is closed at 12:00 and I was late about 10 minutes. I will have to collect it tomorrow. I cant stand this waiting. :( This will be my first real contact with high-end headphones so I am quite excited. Lol. I'm afraid your hopes may be higher than what the HD580 is capable of. 🙂 That's what happened with me and some high end cans. Well I am now listening to the HD580 and have to make a comment on whether it meets my expectances or does not. I think it does and… doesn't at the same time. I am not really crazy about the whole soundstage. While I heard the soundstage of HD580 and HD6x0 is a little bit narrow in comparison to other cans at the same price people tend to say the soundstage is much better than in case of Grados. So far it certainly doesn't match what I am experiencing. The resolution, overall balance and naturality of the presentation is much better. But the soundstage itself is kind of closed. Maybe bigger than SR80i and the imagening is clearly better as well but it is not as open sounding as grados paired with my MiniMAX even lower end. In terms of openess and soundstage the improvement was bigger when I added Millett MiniMAX to my SR80i than when I changed the cans for the HD580. On the other hand the kinda closed sound might be an effect of the HD580 grills since I did not change it to the HD600 grills but will do that soon. I have however some doubts whether it will help a lot. I think that the experience of the closed soundstage of the HD580 and HD6x0 is quite popular according to what people say about them. Although the soundstage is closed or colapsed it is definitely not bad. It has some nice depth to it and because the sound is slightly laid back it becomes really good for chamber music. I feel like if I was in real concert hall which (in opposite to the AKG &01) is made of walls that absorb the sound and create the experience of the closed soundstage. What I really like about these headphones is how realistically they sound. Maybe the overall improvement over SR80i was not too big (especially with the onboard sound card – for now) in terms of 'audiophile criteria' such as soundstage, openess and control of some frequencies (bass control is not too good) but it's all creating very coherent and realistic image. I have seen few posts on head-fi that the real orchestral performances nearly never perform with so controlled bass and detail that some headphones (DT880) have and so the HD6x0 gives a very good impression of 'being there' as it often emphasises on low end and sound very smooth. Although my memories of listening to large orchestra are of poor quality I have to admit those statements sounded very real to me when I read it and now when I heard Beethoven symphonies they sound damn realistic! I think a parft of this realis is the laid back presentation whch influences you sit in some further robe on the concert just like it would be (at least in my case:P) in real life. K701 give the impression of sitting in the first robe which would never happen to me simply because I would not enjoy such presentation. Finally the "sennheiser veil". People often say that sennheiser veil is something you will never notice unless you come from more detailed and brighter can like DT880 or K701. I have to agree with this to a huge degree – I have SR80i which tend to be slightly on the bright side and HD448 which are noticeably darker. Coming back to HD448 after 4 weeks of listening to the SR80i shown me the vail people are talking about. However, the HD600 with my system tend to be very neutral and I can't notice ANY veil at all. This might be due to the MiniMAX AMP which synergises great with Senns or it's because it's simply high-end can and does not show the veil so drastically and I would notice it when listening to high-end bright cans not the lower end ones. I have to say that my experience with the HD580 so far tells me they are neither on the dark nor on the bright side. In my opinion (I tested it with few sources for short periods though) their balance is just great and very realistic while brighter headphones often get me disturbed. We all hear differently though. Bravo. I'm in the process of writing a comparison of the HD580/600/650, K701, and DT880, and I think your impressions are very spot on. Very very good! I do think that the SR80i, while more open sounding than the 580, can't quite match the level of resolution and refinement. Totally different class. Regarding the "closed" sound of the HD580, I don't think it sounds closed, but it's not as open as the Grados (and again, few headphones feel as open as the Grados). Changing the plastic grills to HD600 grills have no effect on this. I have a feeling that you'll like the HD650 much better, as it'll give you an even wider soundstage and better depth than the 580/600. It also does Beethoven symphonies much better than the 580/600. I particularly like that part about how real concert halls don't give you the enhanced bass clarity that you hear from the DT880. I was listening to the HD650 and DT880 earlier, and the DT880's superior bass clarity indeed seem over-boosted. I think the Beyer is voiced for monitoring, while the Senn is for music listening. "Lol. I’m afraid your hopes may be higher than what the HD580 is capable of. 🙂 That’s what happened with me and some high end cans." "I have a feeling that you’ll like the HD650 much better, as it’ll give you an even wider soundstage and better depth than the 580/600. It also does Beethoven symphonies much better than the 580/600." That is exactly what I found out during the first listening session. I have not heard the HD650 but from what people say they should perform really nicely with the large symphonies especially ones created by Beethoven. I think that the best way of describing the sound of the HD580/600 is saying they give you a window to what your other components are. I think if your source is very airy and analytical they may sound like that and they may also sound very warm when paired with warmer rigs. I think this is one of the reasons why people's opinion on these headphones varies so drastically. They almost don't give nothing from themelesves just reproduce what the AMP and source provides. The only thing that is probably not entirely dependent on the associated equipment is the bass. I think that with better source it would have significantly better control in the bass department but even my not experienced ears feel that the bass is not controled well. This shows up on Beethoven symphonies espiecially. Symphony No. 5 is my main point of reference here. As for the HD580 vs SR80i – for now I can se only a slight improvement in the level of refirement and the main reason for this has to be the source. It is simply uncapable of showing even a half of the HD580 potential. 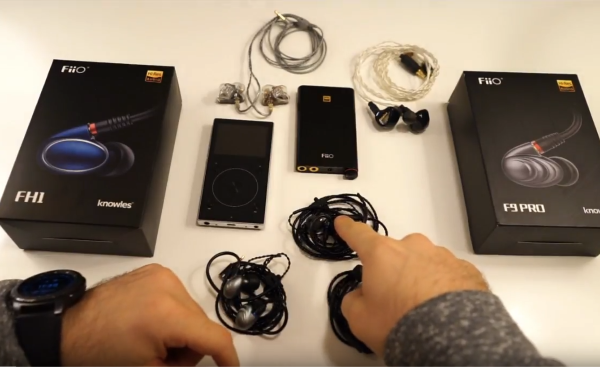 About the HD650 vs DT880 – even though I have not heard the DT880 I have read opinions on how they have more clarity and detail that people will ever be able to hear in real live performance. 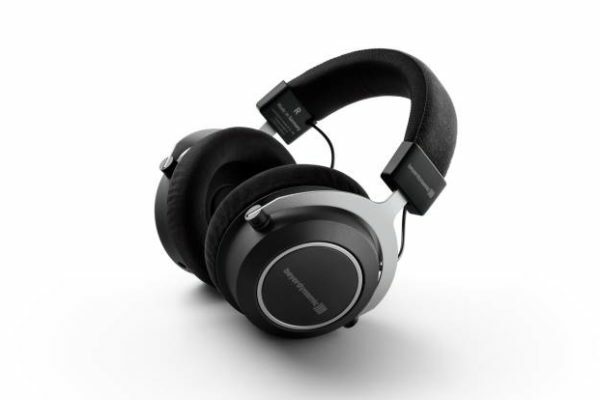 It actually makes sense given their superior technicalities, perfectly mastered recordings created almost exclusevly for audiophiles and a very short distance between the headphone drivers and human ear. While the HD650 improves dramatically with different sources and amps, they still imprint a very strong sound signature that you can never remove. So I wouldn't exactly say that the HD650 is colorless. With a good source and amp, however, the HD650 scales up very very well. Out of the Grace m902 DAC/Amp, for instance, the HD650 is far more detailed than the K701, the latter more often being people's benchmark of "detailed". Bass control on the HD650 requires nothing short of the Beta22. HD580 vs SR80i — the level of refinement is not even close. The HD580's refinement would only be bested by headphones like the ATH W1000X, HD800, and others like that. HD650 vs DT880 — I think what you say (or what those people say) is spot on. Coming back to my initial expectances – I was not really disappointed given that I bought HD580 just for the £70. In UK it is almost a half of what my SR80i costed so really it is hard to imagine I could complain about anything. I have also got very limiting source so I was prepared for very limited performance. I may actually be very disappointed if a new source I will buy soon does not improve the sound significantly which could be some possibility as I always find source upgrades to have very subtele effect on the sound. Thanks for the input. This time I'll try different amps with these headphones and try to report what works and what doesn't. As for the system I enjoyed the most, it would be heavily biased to the music I listen to. CEC TL51XZ > Zana Deux > HD580/600/800 is my ultimate system for Piano solos, while Grace m902 > Zana > Beta22 > HD800 is my ultimate system for Beethoven Symphonies and Piano Concertos. Oh well… Initial mpressions to come, I guess. I also don’t think you need the millions of hours of burn in as people often say. My brand new HD580 sounded identical to the old HD600 after only 24-48 hours. The pads burn in makes more difference. Try to use a book or some box to burn in the pads, and when the pads are soft, then they should be done. Yo Kelvin. Not quite. Wait a few more days until I publish my review of the HD600-650. The HD600 is the better all rounder, and more people will prefer it to the HD650. "As for the system I enjoyed the most, it would be heavily biased to the music I listen to." About the HD650 – I would not call them colorless either. People who mention the difference between the HD650 and HD600 tend to say HD650 is more muddy because of the treble roll-off and the bass emphasis. Listening to the HD580 right now and finding it to be neutral I can only admit that HD650 is not neutral if it differs from the HD580/6000 in such ways. However, like I said ealier I do not believe the presentation of a real orchestra performance is neutral either. It is my assumption though because my memories of listening to real orchestra fade away (havent done that for yeras!). I am sure however that if the HD650 is more distant than the HD580 and has smooth sound (which I think is the effect of the laid back presentation hence it sound natural, at least on HD580) for me it should be better. I am also going to put my hands on DIY – hopefully – so HD650 would be better for monitoring any changes with different DIY AMPs. @Kelvin – bear in mind I initially also thought the HD600 would be better for me. This is the difference on reading someone's opinion and trying the headphones yourself and although I agree with many comments made about the HD580/600 I have to say my ears do not agree with statements about the sound sinature pumped with a lot of mid-bas, bass impact and recessed treble. I am now listening more and more to the HD580 and I am enjoying it more and more every hour. ;) You should not be worried at this point. I guess after some time I might decide to stay with the HD580 after I buy a proper source. Upgrading the headphones was the first idea I had after first audition to my HD580 which seemed propably too neutral but now when I find more love for it I guess I should stop myself for a half of a year and see how it goes. Also – if you bought brand new HD600 and you keep the box and the headphones in prime condition you should have no problems with selling it at a minimal lose on UK ebay. I was comparing the prices of used HD600 from the UK sellers and the brand new some time ago and the difference was pretty small. If you bought it via internet not from a traditional retailer. uff – I could write like that for hours, lol. I guess at some point my impressions of the HD580 and expectations of the HD650 sound siganture might get longer than your comparison review Mike! I think pretty soon you can start a HD600 Wiki. Lol. Yep. And still – that is based on what I can hear from the onboard sound card. Imagine how long my impressions could be if I had a chance to directly compare two high-end sources! Yes, prof, I got them from Amazon as they were quite a sizeable margin off the SRP (even my local shop recommended that!). So, on top of eBay, I actually have the added advantage of the distance buy laws. Although that means a penalty on my part for the postage. 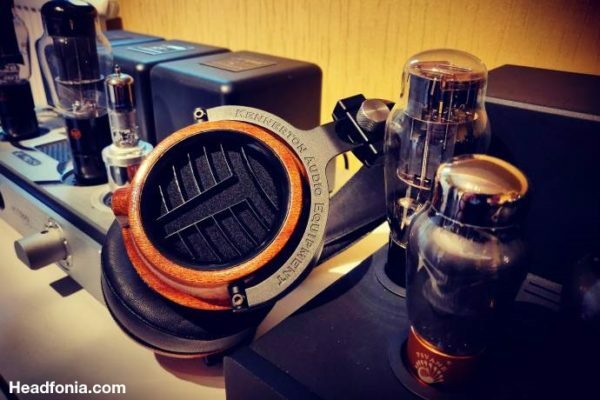 I've posted my initial impressions in the Headfonia forums. In a nutshell, I must say it's not as bad as I had imagined (i.e. crushed-in/imploded SS like the 595, say) although I certainly agree with Mike that the SS could be better (like the 598). I'll be burning them in now to try them on better sources at my local shop (hopefully this weekend). I might just keep them if they turn out to be alright after testing them out with a proper source and amp. Afterall, I'm only driving them out of a laptop now (it works, surprisingly). I've replied to your impression on the Lounge. Yup. Noted. Hope prof can join us as well! Thank you so much for this article. I replace the pads on 7-8 year old 600s and what a difference! I had forgotten how great they could sound!